A Full-Service Solution to Perform Medicare's Annual Wellness Visit. Our Process at WellTrackONE provides a full-service solution for your healthcare organization that includes patient engagement, scheduling, data screening and approved documentation and reporting of the Annual Wellness Visit encounter. There are no set-up fees and no monthly fees. We get paid after your organization is paid by Medicare or Medicare Advantage. When the patient arrives at the practice, the nurse or CMA will start the visit using our proprietary tablet software. 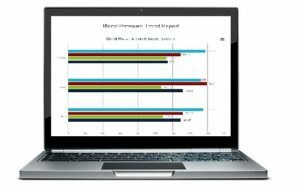 This software runs on any browser, any tablet, and any operating system. There is no need to purchase additional hardware or software. All you need is a secure, wireless internet connection. Clinical Triggers are point-of-care assessments of all the data that has been collected from the patient during the Annual Wellness Visit. Our system produces “medically necessary” treatment options and referrals that can be billed to Medicare along with the Annual Wellness Visit. Clinical Triggers also produces prospective “HCC Risk Adjustment Codes” for risk-based organizations. These HCC RAF Codes are included in the physician’s report for convenience of follow-up assessment and coding. Clinical Triggers may be customized to the organization so that they stay aligned with the clinical pathways established by the Chief Medical Officer and his/her clinical team. Our Reportal Analytics provides your healthcare organization with trend reports, risk stratification analysis (with patient drill-down) and discrete clinical data. 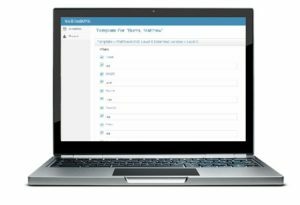 The Reportal Analytics is invaluable for any population management needs and is immediately available to the organization’s leadership as soon as the WellTrackONE system begins operations. 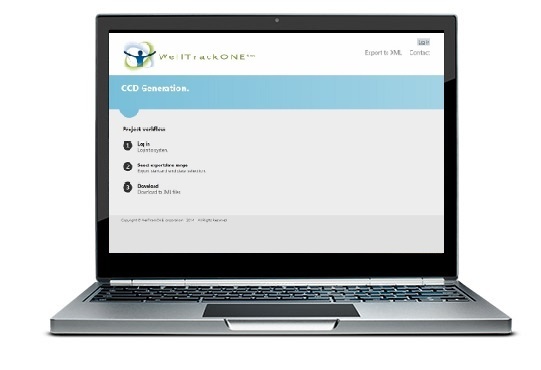 Our CCD Extraction module allows complete integration with your EHR or HIE using industry-standard Continuity of Care Documentation format. We also support DIRECT Project data exchange.